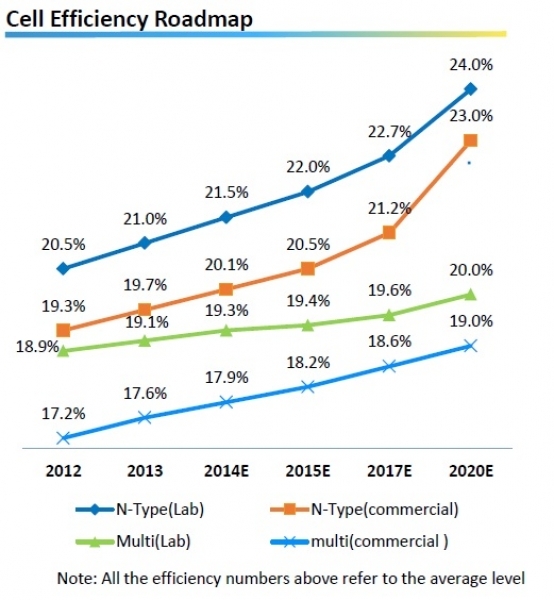 Now we’ve seen the technology roadmap of solar cells, what does this mean for panels you can actually buy? 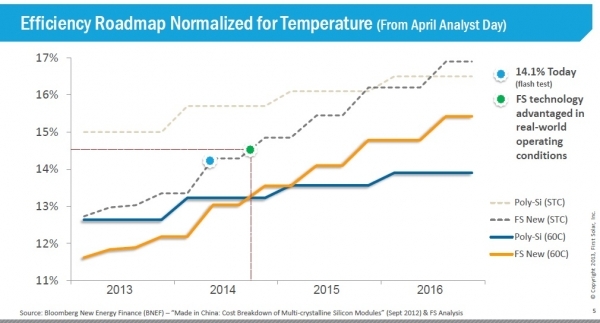 We’ll compare the cost and efficiency roadmap from 2012 till 2017 for three major solar panel manufacturers: Yingli (Largest in Normal Silicon), FirstSolar (Largest in Thin Film) and Sunpower (Largest in High Efficiency). 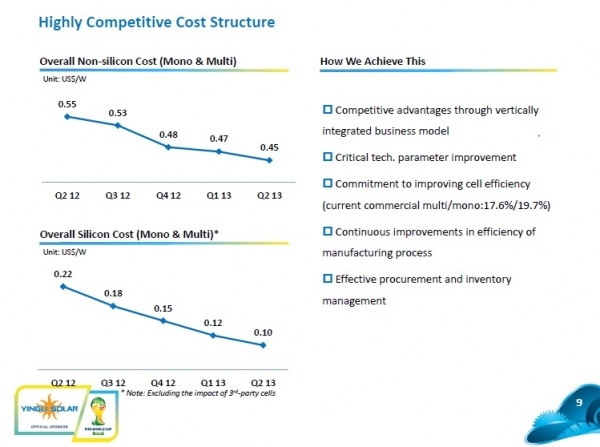 Who will be the solar panel cost and efficiency winner? 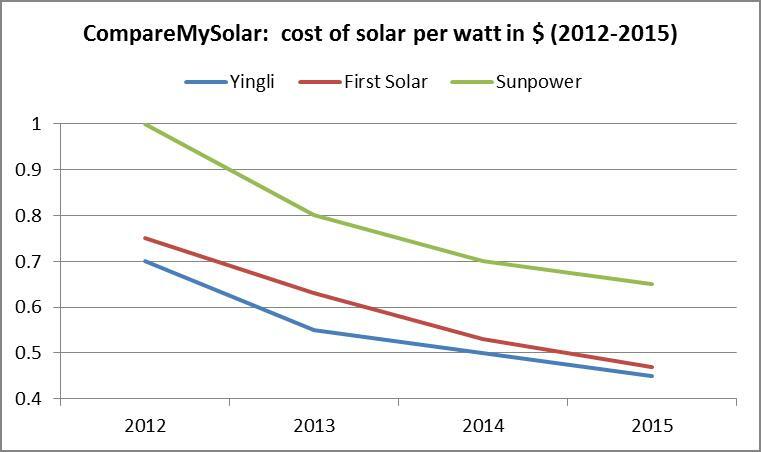 Clearly it shows how based on cost, Yingli and FirstSolar go head to head, with Yingli the expected winner, although the difference is less than 10%. 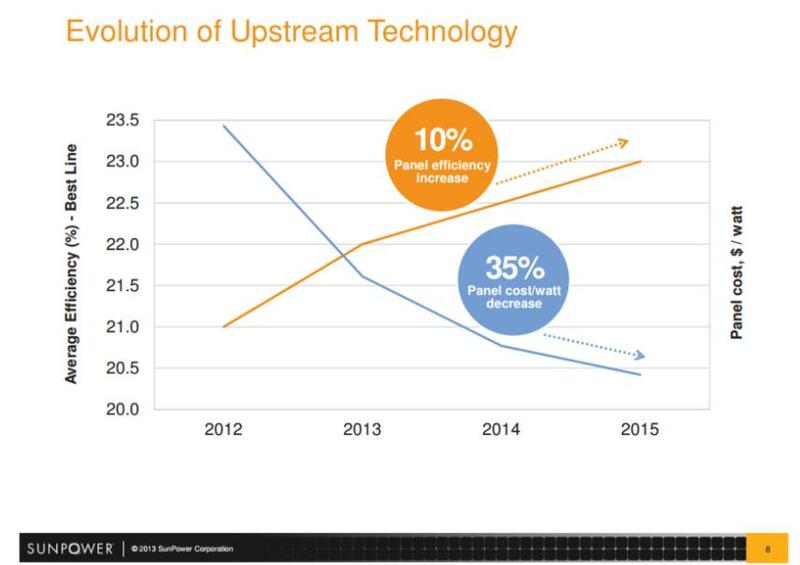 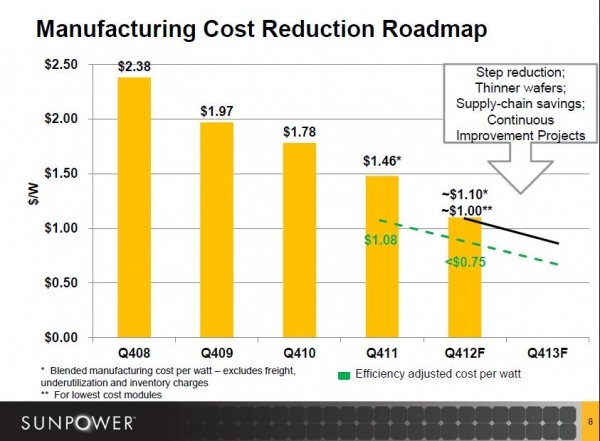 Based on efficiency, Sunpower will remain the market leader, but Yingli wil remain a much more affordable alternative. 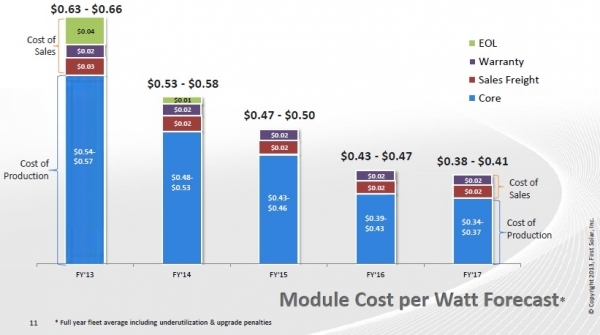 FirstSolar with thin film technology improves quickly in efficiency but is expected to stay behind and hence is unlikely to be used often for rooftop installations over the next 5 years where space is limited. 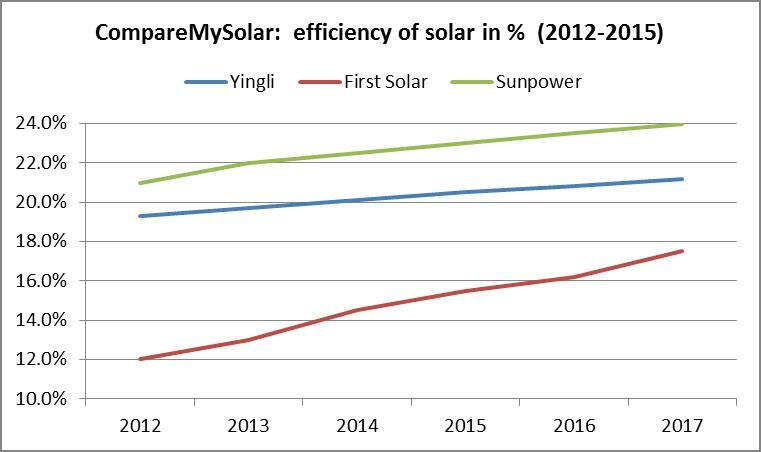 Hence our overall winner would be Yingli solar panels.